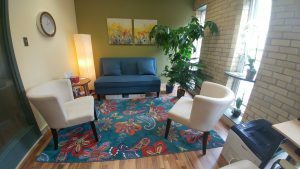 Group settings provide clients with an added level of interpersonal support, allowing individuals to create new connections, practice interpersonal skills and develop comfort in a social context. Group leaders provide a powerful environment of compassion and empathy for each individual. This also allows for interactions that challenge participants to let go of self-defeating beliefs and behaviours, replacing negative emotions with more positive ones, and ultimately achieving personal life goals. 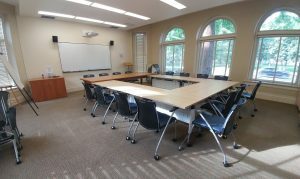 Clients considering participation in the DBT skills treatment group are asked to attend several individual sessions prior to joining the group in order to orient them to the treatment and ensure informed consent. The DBT treatment group is not for everyone, as participation requires a certain level of commitment. First and foremost, participants must be committed to working on personal goals, and willing to discuss their efforts, successes, and failures in a group setting. Rules and expectations are detailed below. Each session is 120 minutes held weekly, with the exception of holidays/vacation time etc. that has been agreed upon ahead of time. The group is structured into 4 modules, Mindfulness, Emotion Regulation, Interpersonal Effectiveness and Distress Tolerance. The completion of module 4 is followed by returning to module 1, and runs continuously. The group is an ‘open group’ which means that once a PEACE client is individually oriented, the person may join the group at any time (i.e. they do not need to start at “Module 1”). Because the group is an ‘open group’, at any time, facilitators may invite PEACE clients who are fully oriented. Each module takes roughly 4-6 sessions to get through. Facilitators commit to getting through the material in a total of 20 weeks, allowing clients to plan accordingly. Clients are encouraged to participate in group until they have developed a good grasp of the skills and have integrated them into their lives. Research suggests that attending each module at least twice allows for the best results. This structure also creates a group that includes members that are both new and more experienced with the material. The first hour of the group is spent checking in with clients about how the homework went and reviewing last week’s material. The second half of the group focuses on teaching new material and assigning homework. Facilitators utilize the clinical approach of experiential learning by utilizing ‘what’s in the room in the moment’ as opportunities for replacing maladaptive behaviour with more skillful behaviour. This is carefully balanced with getting through the content of each module. Individual therapy sessions can be provided as either a supplement to the DBT therapy group, or as the primary mode of therapy. For people who choose the group, individual sessions can be used to create a therapeutic rapport so that problem behaviours and situations can be examined closely, and new behaviours can be learned and practiced. These sessions are also essential for increasing motivation, enhancing capabilities, dealing with intolerable emotions and uncovering thinking problems. For some people, group therapy can be threatening or intimidating. Others might not be able to make the commitment, or simply prefer to do one-on-one therapy. For these reasons, clients who are exclusively interested in individual therapy can also benefit from the skills taught in a typical DBT course. You and your therapist will, after determining your goals and aspirations, focus on learning skills that are most relevant to the current situation. In order to compensate for the need to spend some session time on skills learning, this requires an increased focus on readings and homework in between sessions. Many people seek therapy to address issues not primarily related to emotional dysregulation such as Anxiety, Depression, Addiction, Eating Disorders, Mood Disorders, Trauma, and Abuse. For these clients, skills training is not a priority. However, even clients in individual therapy can benefit from the flexibility offered at PEACE Psychotherapy. While individual sessions will focus on getting to the root of the problem and working towards achieving personal goals, supplementary services like homework, telephone coaching and family sessions will also be available according to your needs. PEACE Psychotherapy views parents as partners in the therapeutic process. This is especially true when there is lots of conflict between the adolescent and other family members, but it is also true when family members are inadvertently reinforcing or “enabling” maladaptive behaviours. Family members often find themselves: a) alternating between extremes in parenting styles b) over or under reacting to adolescent problem behaviours c) struggling with their teens’ transition from a dependant teenager to an independent young adult. In these situations family sessions become a critical. The purpose of the family sessions then is to help the family resolve these dilemmas and create a space for healing and growth. At times, it may be important to have home-based sessions in order to develop a more accurate assessment of the problem and to determine appropriate interventions. Sometimes clients have challenges that make it difficult for them to come in to the office. This can include an acute episode of depression or anxiety, a refusal to leave the home, or circumstantial challenges. PEACE Psychotherapy recognizes that this can be an obstacle to effective treatment. For this reason, we offer confidential Skype services when needed, either to replace individual sessions or in-between session coaching. When it comes to working towards making real change in our lives, sometimes we need access to supports in-between sessions. 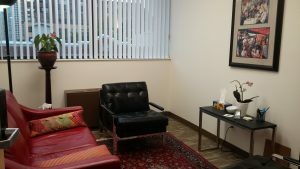 Because your therapist knows your specific situation, they are in a unique position to be helpful. Telephone coaching is intended to be a brief intervention with the focus on addressing the issue at hand and it is not a replacement for crisis services. Your therapist will provide you with a packaged list of crisis services such as hotlines, walk-in clinics and emergency services. Sometimes the weight of the problem is so heavy that it’s just too hard to leave the house, especially to talk about the problem. Outreach addresses this by meeting the person where they are at – in the home. A number of sessions can be devoted to assessing motivation, educating about therapy, and attempting to form a therapeutic rapport. However, this is a time limited service, with a goal of eliciting a more significant commitment to therapy. Creating change in your life requires significant effort and on-going commitment to learning new skills and applying them. PEACE psychotherapy offers e-resources that are designed to help you complete take home exercises, readings, thought and behaviour records.